Centre for Islamic Economics, Banking and Finance at School of Economics and Business in Sarajevo (Bosnia and Herzegovina) is pleased to announce registration for the new generation of Islamic banking Master study for the academic year 2018/2019. 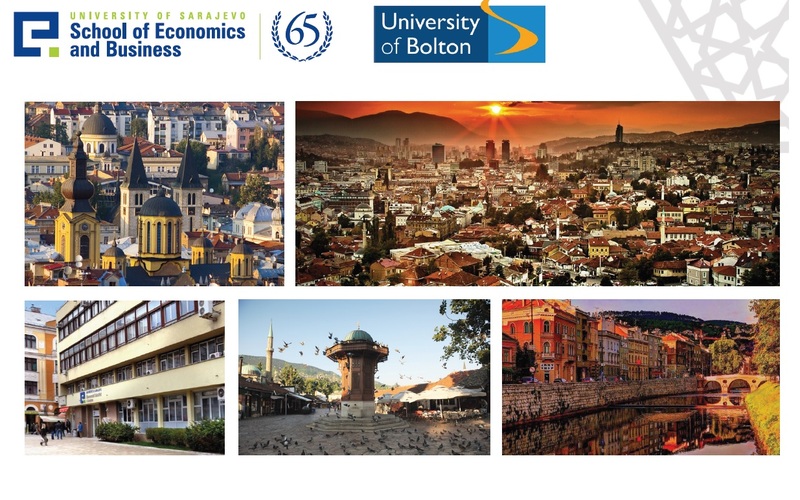 The Master’s programme is taught by professors from both University of Sarajevo and the University of Bolton, together with guest lecturers and professionals from all around the world. The curriculum consists of 12 core modules and two professional practice modules in Islamic bank. Students gain valuable experience through an internship with Bosna Bank International (BBI), where they can apply in practice what they learned in the classroom, experience a dynamic business environment and complement their knowledge with new skills. During internship, students also attend 8 practical seminars in Islamic banking organized by BBI Academy and receive special certificates issued by bank for attending these seminars. Tuition fee is 7,000 EUR per year. There are special scholarships for all Bosnian students - 50%, and scholarships for International students too. Students will obtain joint MA diploma: from University of Bolton (United Kingdom) and University of Sarajevo (B&H). Studies are practice oriented and are organized in partnership with Bosna Bank International in Sarajevo, which enables students to acquire practical Islamic banking knowledge during internships. The classes will start in November 2018. More information about this master study can be found on this link: http://www.efsa.unsa.ba/ciebf. Applicants must have completed a bachelor’s degree and the equivalent of a min. 180 ECTS before October 2018. What is very important to mention is that studies are adjusted for people who work – every month students attend lectures and take the exam in one course. Lectures are organized within one week, outside working hours. Rest of that month students are free to prepare assignments and study for exam, so they don’t have to be in Sarajevo during that time. This cycle is repeated for each of the 12 modules on the master study. This method is ideal for students who work because they are able to organize their studying while working full time. We invite you to enjoy UK&BH joint degree MA diploma, practical learning in an Islamic bank and affordable life in Sarajevo! Proof of English language knowledge - IELTS overall score of 6,0, or alternative equivalent internationally acceptable certificate. For students who do not have the English language certificate, there will be organized test of the English language knowledge before the start of the lessons. (For students with low knowledge of English language, we have provided English Language Learning Program ELLP, which will be organized before the start of the first semester). Details about the English Language Learning Program ELLP you can find on link. It is important to note that all documents must be written in English or Bosnian language otherwise will not be considered. Required documents can be submitted by e-mail ciebf@efsa.unsa.ba or regular/land mail at the following address: School of Economics and Business Sarajevo, University Sarajevo, Centre for Islamic Economics, Banking and Finance, Skenderija 70/II, 71000 Sarajevo.